- Khachanov leads the head-to-head 3-0 but isn’t playing anywhere close to the level of his previous victories. 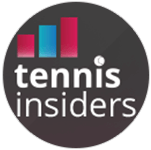 - The three victories have all been narrow, one coming at the French Open (Isner’s worst surface), one in Toronto (Isner’s level dipped after losing an epic Wimbledon semi-final) and in Paris (Khachanov playing the tennis of his life, won the tournament). - Khachanov has struggled to cope with the spotlight in 2019, losing to Griekspoor, Berrettini & Basilashvili in recent weeks. - He scraped past Feliciano Lopez in the 1st round and benefitted from a Rublev choke yesterday, he’s lost serve 5 times and while Isner isn’t a strong returner he will create pressure with his own easy service holds.